ABUS makes helmets as unique as the people wearing them. Worn correctly, helmets can reduce the risk of head injuries in the effect of a fall or accident whether in a race, at the playground or on your daily commute. Much like our locks, ABUS makes a helmet for a wide variety of users and uses. Our commuter helmets in particular feature innovative designs and features designed to be stylish and safe. 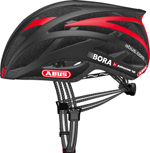 The ABUS line-up commuter helmets offer excellent protection and excellent comfort. 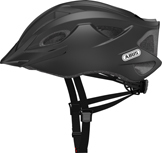 They are light and well ventilated and include premium user features that make wearing an ABUS helmet a pleasure rather than a responsibility. 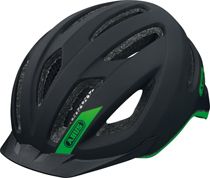 You will find great stylish colors, integrated LED lights, abundant reflectors, soft-touch straps and chin closures, magnetic snaps, and an assortment of winter and rain accessories to make your ABUS helmet the best choice year round!